If you suffer from peripheral neuropathy, you know how excruciating your symptoms can be. But at St. Luke Integrative Medical Center in Huntsville, Alabama, you can receive state-of-the-art treatments to repair your damaged nerves. 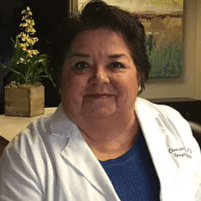 Dr. Yvonne Ortega is a renowned leader in the field of regenerative medicine. She provides a variety of innovative treatments, which can regenerate nerve cells to relieve neuropathy symptoms without drugs or surgery. To learn more about these exciting new treatments for peripheral neuropathy, call Dr. Ortega today, or book an appointment online. What is a burning sensation? In some cases, a burning sensation results from a minor injury or illness. You may experience a burning sensation after scalding yourself on a hot pan or after spraining an ankle. This sensation, however, can also be a symptom of a more serious medical condition. Many people with peripheral neuropathy report a painful burning sensation in one or more parts of their body. You may first feel a burning sensation in your hands or feet, but over time the feeling may spread to your arms, legs, or other areas. The severity of symptoms can vary. For some people with peripheral neuropathy, the burning sensation is more irritating than painful. But for others, the symptoms can be debilitating. What causes a burning sensation? If your burning sensation is due to a minor illness or injury, the feeling may disappear on its own. But if your symptoms are caused by peripheral neuropathy, a condition resulting from damage to your nerve cells, the burning sensation may become worse. It’s important to understand peripheral neuropathy is caused by an underlying illness or injury, the most common of which is diabetes. You may also develop peripheral neuropathy because of an injury, infection, tumor, exposure to toxins, or certain prescription medications. What treatments can help relieve a burning sensation? Treatment for peripheral neuropathy requires treating whatever condition is causing the nerve damage. For example, if you have diabetes, it’s crucial to control your blood sugar. Treating the underlying condition helps prevent your neuropathy from becoming worse. But in some cases, your nerve pain may persist. For many years, neuropathy symptoms were considered incurable, and patients had to rely on powerful pain medications for relief. But cutting-edge treatments offer new hope for patients struggling with nerve pain. Dr. Ortega has pioneered the use of stem cell treatments to reverse nerve damage in patients with peripheral neuropathy. These treatments are noninvasive, nonsurgical, and non-narcotic. Unlike less advanced treatments, stem cell treatments are pain-free and require no recovery time. Stem cell treatments offer exciting new methods for healing damaged nerves and restoring your body’s natural nerve function. To learn more about how Dr. Ortega can treat your neuropathy, call or book an appointment online today.